After an accident leaves Celeste Monroe to raise her baby nephew, all she wants is to provide one-year-old Parker with a happy life. She hopes taking a job caring for injured Sam Sheffield will help fulfill that goal. But Sam’s determination to avoid the world throws a wrench in her plans. Despite his best efforts, Sam can’t take his eyes off the pretty caretaker. Her strength and her loving nature has him falling for her—and her baby. But he refuses to burden them with a man who’s not whole. Can Celeste convince Sam he’s daddy—and husband—material in time for them to celebrate Christmas together? “O yes. Do you have a worm that’s chewing inside of you? Is it bitterness or is it self-doubt? Is it jealousy or something you’re not even sure of? 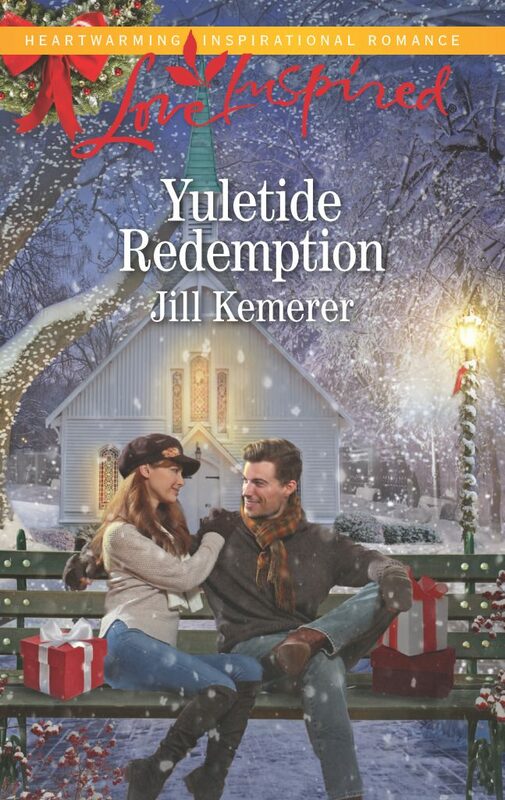 Yuletide Redemption by Jill Kemerer deals with loss and the bitterness in life and towards God. And boy, was it a kicker! I almost wanted to jump in there and smack a certain character. I want to knock some sense into said character. Though I understand his/her plight and reason for such bitterness, but you can truly see how bitterness can “rot your bones.” Not only such, it can drive away the good things in your life, and hurt those that love you. “The author did a fabulous job of not only letting her characters struggle but what it looks like taking all those tiny determined steps and coming out the other side. Even if the other side isn’t puppy dogs and rainbows every day.